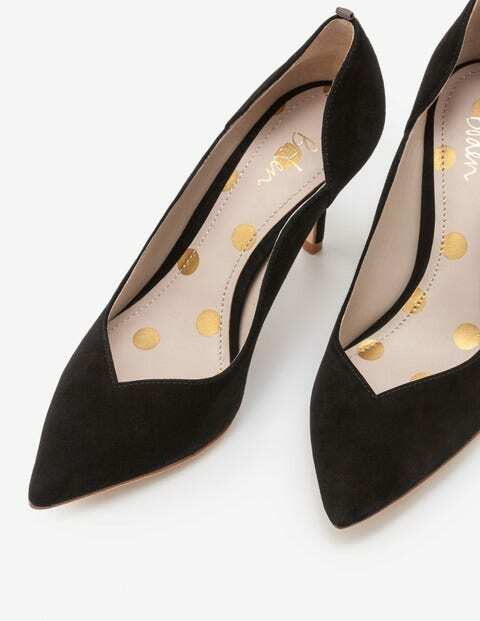 How can you make a classic suede court shoe even more elegant? We've added a scalloped edge for a distinctive, sophisticated look that's ideal for stepping out on special occasions. With a range of vibrant colours to choose from, there's a perfect pair for every day of the week. We operate a 365 no-quibble return policy. However, If an item is returned within 90 days of purchase, we will refund the full amount or offer an exchange. We are happy to exchange any item within 90 days of receipt, no questions asked. However you may have to pay for returns postage.